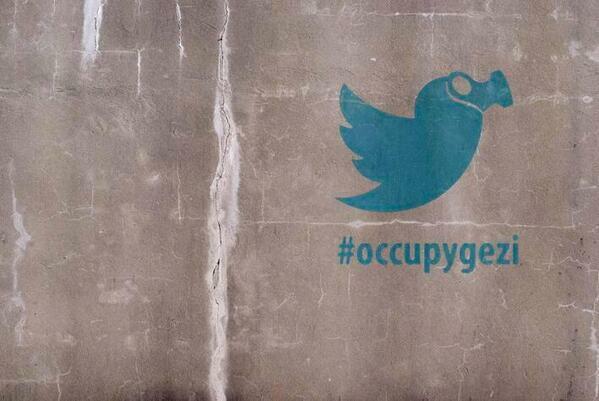 Between 31st of May and 1st of June there were at least 2 million tweets that mentioned any of the protest related hashtags like #direngeziparki (950,000 tweets), #occupygezi (170,000 tweets) or #geziparki (50,000 tweets). A map reflected twitter activity, and showed the intensive use of this network. The answer to this activity from the authorities were twenty-five arrests and statements of Erdogan in which he addressed the concern caused by social networks: "There is now a menace which is called Twitter. The best examples of lies can be found there. To me, social media is the worst menace to society". No surprises. The establishment feels misplaced in a world that is hard to understand for them and does not count on them. Barlow anticipated already in its Declaration of Independence of Cyberspace in Davos in 1996.